I’ve finally put together an e-book! A 21 Beauty and Body Recipe E-book called Natural Beauty from Head to Toe. No more hunting around for the best recipes that really work! So here it is! All in one lovely spot, put together in a highly organized beautiful format with fabulous pictures. Bath – Learn how to make bath recipes like different types of lotion, easy shampoo that doesn’t require you to use lye, a natural detangler that has only the best ingredients. Also, learn how to make your own deodorant and toothpaste and More! Body – Learn how to make Lip Balm (herbal options are given as well). Formulate your favorite essential oil Perfume blend. Make healthy and exciting massage oils, and MORE! Beauty – I give you a lot of options that will work with a wide range of skin tones for Homemade Foundation. Learn how easy it is to use kitchen items to make Blush (plus some wonderful ideas for clays and micas). Make your own Eye Liner, and MORE! Men – Don’t forget the men! Make aftershave and Beard Oil using some of the given essential oil scents that they’ll love. Why Choose this Beauty and Body recipe e-Book? 1. Recipes you may find online are not always tested well. Some work. Some don’t. These recipes are all recipes I make and use myself. In addition to that, I sell a number of them in My Shop where you can read more testimonies. 2. You will also receive a full introduction to making your own bath and beauty products, including information on essential oils, carrier oils, purity, and safety. 3. You’ll receive my favorite list of essential oil blends for ladies and men. 4. I’ve tucked in a great coupon for you to use on your next trip to my Store. You’ll find a lot of these recipes made for you in my shop. Why? Because a lot of people may not have all of the ingredients yet. Maybe you’re just getting started using essential oils or you’ve never tried using any natural products before. You can try out the recipes by using products from my shop first, then give it a try making them yourself. I’m giving away 3 copies of Natural Beauty from Head to Toe. The great thing about this giveaway is that since it’s a pdf download, you can be anywhere in the world and still enter! I will send the lucky winners a code to download it from my shop. This giveaway is only lasting 1 week, starting 1/4/16 and ending midnight 1/10/16. 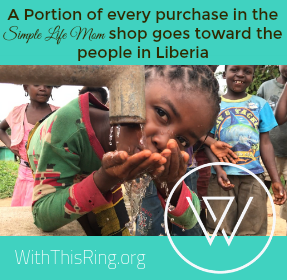 If you don’t want to wait, you can purchase it now. Or enter here and wait a week. Have fun! I’ve been making a few of my own beauty products for years, however, this year I’m taking the leap and only using 100% natural beauty products made by me. Here’s to a fun (and messy) learning process. 🙂 Love your blog by the way! Woo hoo! Good for you!! Let me know if you have any questions as you go along. Recently came across your site and I really enjoy it! Would be great to win your e book. I’ve been making cleaning products but haven’t made bath and body yet. You’re WELL on your way. Congratulations! I’ve been making a few items for years but not on a consistent basis. I’d like to be able to make most of our products on a regular basis. I’ve been making many of my own products for about 3 years, every time I run out of something (commercial), I think – how can I make this myself – and yours is the first site I check. Can’t wait to make shampoo bars (I LOVE your luxury shampoo bar and have bought several), I bought the lye over the holidays. Good for you! That’s a wonderful way to replace you’re products without getting overwhelmed. I’ll remember that in helping others. Have fun making shampoo bars. Let me know if you have any questions. Made a bunch of DIY gifts for Christmas this year-everybody loved the hard lotion bars especially! Looking forward to seeing your book. While I have experimented with DIY cleaning products, I am new to DIY bath & body products. I have been using DIY cleaners for a couple of years but just in the last year have started with DIY bath & body. For Christmas I made, for the first time, hard lotion bars and I love them! Thank you for sharing your knowledge. I’ve just started making my own products. Would love to have this book. Thanks for stopping by and entering Nancy. I love getting your blog emails! I’m always trying to find healthier replacements for the chemical ridden stuff. I would love your ebook!! Thanks for all you do, and for sharing your recipes, as well as selling your products! I found you by looking up organic essential oils for face on etsy, and I’m interested in the anti aging and eye creams. Of course, I would love your ebook! I just received my anti-aging gift set in the mail tonight from your shop. I have only had a chance to try the bee balm lip and I love that it gives me some color but feels great! 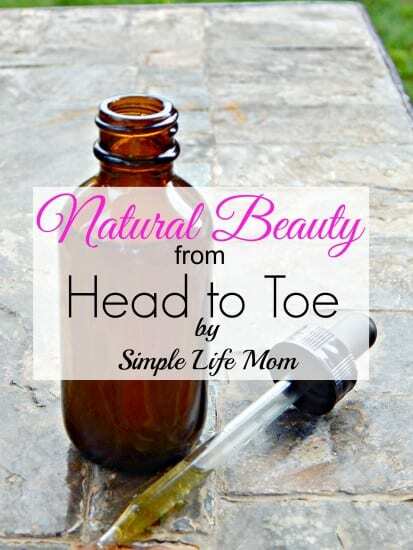 I would love to have your e-book Natural Beauty from Head to Toes. Did I mention yet that I love your blog. I love your blog. Looking forward to this new year. Thank you. Well that is funny, I am looking at your Butter Soap recipe and calculating it to fit a specific mold, at the same time your email comes in. That is a fantastic recipe. I use it as shampoo too. I scent it with Tangerine EO and Clove EO. My favourite soap ! Thanks for sharing Kelly. Have a wonderful day. Wish me good luck in your contest please. I am intrigued by the no lye shampoo. I have only had a couple of goes at making shampoo soap and found they left a bit too much residue on my hair. 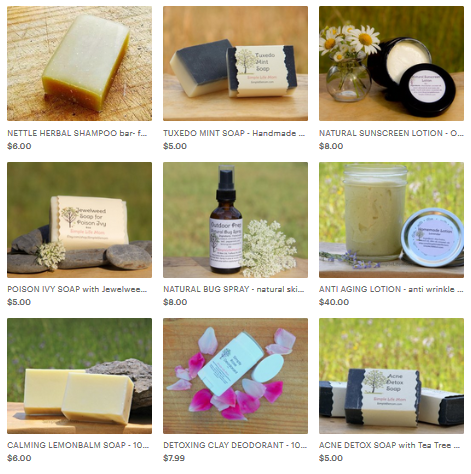 I’m always interested in natural beauty products! Thank you for this giveaway. I have my fingers crossed. I love how you are open to learning new wasy of doing things, even if you haven’t done many DIYs Katie! Making your own hair gel is a wonderful start. Love that you are making everything so user friendly, regardless of where one lives! I think that this is awesome. We have been using essential oils every day for more than a year and these recipes would be awesome to have – in order to make great natural Beauty and Body recipes. Your book looks awesome. Is there some way to print it up? Marjie, if you purchase or win the book you can print it off of your device for personal use. I only have a digital copy available currently. I’ve never made my own bath and beauty products, perhaps someday, sounds like a great book! Thank you Joy. The health benefits really make the effort worth it. What a brilliant idea! I do the same, save stuff for later use then forget where I saved it lol. I have never made any beauty item on my own but it sounds like an intriguing project! Your book sounds great! Hahaha! I never can remember where I put anything. Thanks for a lovely list – everything all in one place. Maybe someday I will try my hand at making my own beauty products! Your book sounds amazing, can’t wait to see what’s inside! Congratulations to Cathy, Colleen, and Lori. I have emailed the winners and gotten responses. I hope you all enjoy the book!